Because the weather hasn't been fantastic over the past week I thought it best to stay local this weekend. So it was into Plymouth on the 8:45, where an Olympian is guaranteed! Its the service I always opt for if I have the choice and on Saturday it was in the hands of K802 ORL. Amazingly I haven't actually had a trip on this bus since August of 2009, on a morning I was particularly disappointed to see it turn up after wanting a Leyland on the 08:45! K802 actually performed surprisingly well on the run into Plymouth. They finally sorted out her niggles (particularly the sharpness of the throttle and breaks!) and now she glides along like a dream, in fact I may be as brave to say she is now my favourite of the batch. Continuing the Olympian theme the K-ORLs were very much out in force on Saturday. 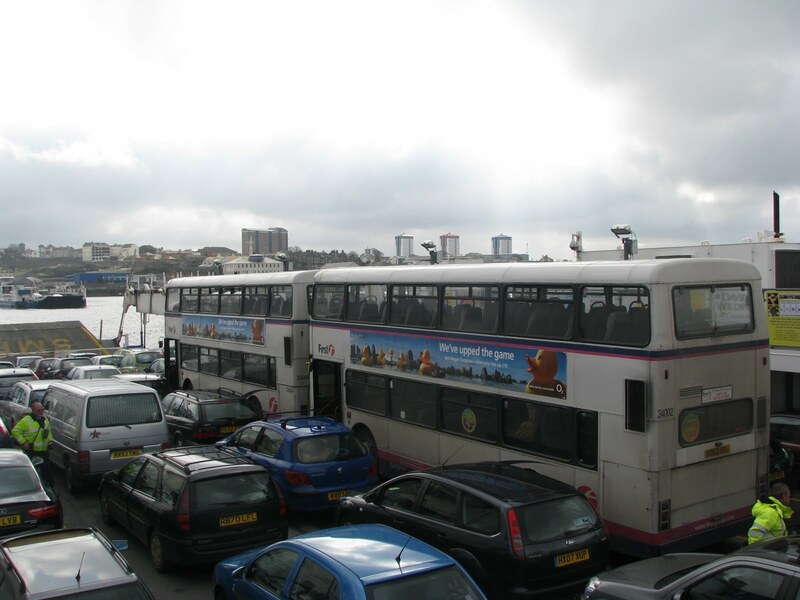 On reaching the Torpoint Ferry K802 and K804 travelled together across the river due to only 2 of the Torpoint Ferries being available and therefore K-804 was a ferry behind. On arrival I walked down to Bretonside to be greeted not only by K804 but also K801 which had escaped on the 83! Both are pictured below. K615 LAE had just arrived from a Dartmouth trip and gave a nice comparison shot between the Leyland and Volvo variants of the Northern Counties bodywork. A short while later Western Greyhound's 'mini' Solo - WK59 CXC entered the bus station. Not sure which route it had come off though as the blind was simply displaying 'westerngreyhound.com.... '. The 94 was out of the hands of the usual Vario and was instead being run by Mercedes 709 N95 BNF. 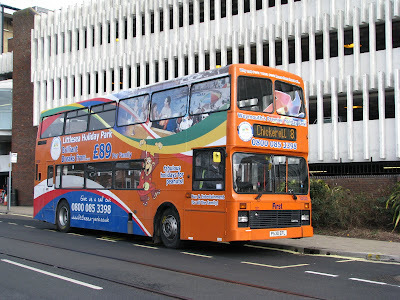 N278 PDV is pictured behind and gave a nice shot of what is really now a bygone era! The two aims of the day were to photograph some of the B7s before they disappear which was fairly successful, I ticked most of them off! But more importantly I wanted a ride on Citybus' Volvo B6 with Plaxton Pointer bodywork - the Volvo pretending to be a Dart! And indeed I was lucky enough for M52 HOD to turn up ready to work a 47A to Derriford. Now the older Dennis Darts are fast, but this was in a whole different league! The B6 coupled to a lightweight body absolutely flew along! I must admit I was very much taken by surprise. Of course FDCs B6s are renowned for being pretty much the slowest buses on the streets today, due to that heavyweight body always seeming somewhat underpowered. 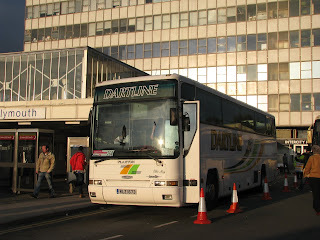 But with the Plaxton Pointer it was quite an amazing 'transformation'. 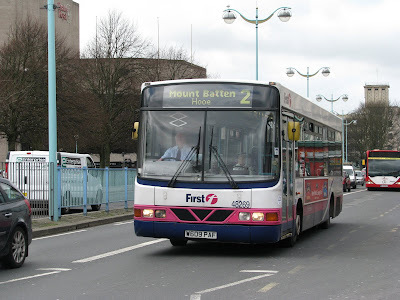 The presence of B7s disappearing was felt on my way back into Plymouth where one of the S-SUX Darts was on the 15. Already some are de-legaled and ready for the off. 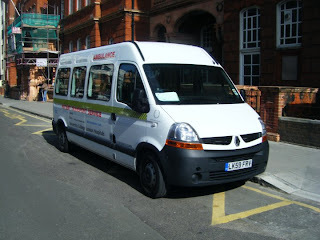 Two possibly more of the Enviros have now arrived so have a look at Plymothian Transit for a photo! Last thing to note was the presence of a preservation legend. Some of you may know Roger Pinder from Loddiswell who used to own the Loddiswell Inn, used to work for Tally Ho!, and is currently the town crier of Kingsbridge. He also owns one of the Ex-Tally Ho! Bristol LHs which he is currently restoring. Anyway to the point the picture shows him at work with FDC driving W609 PAF on a 2 to Mount Batten! So there we go, always something interesting to see, even on a dull day! Derrick Cuff has now returned to Target Travel after a spell away from the company. This will mean he also gives up his duties with A-Line and Carmel Coaches. He says that he's happy to be back driving buses again after driving vans and that he's looking forward to driving some of the old FDC routes once again. 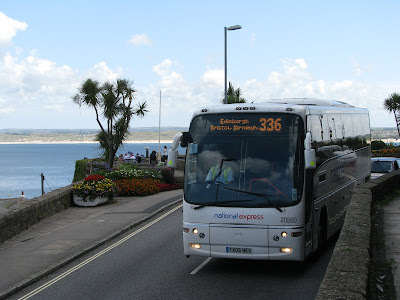 It has been announced that Britain's longest route, the 336 Penzance to Edinburgh has now been shortened to only cover between Plymouth and Edinburgh. Not enough people have been using the service, and with the vehicle being used inefficiently with a 21 hour layover in Penzance the decision was made to cut all 336s into Cornwall. 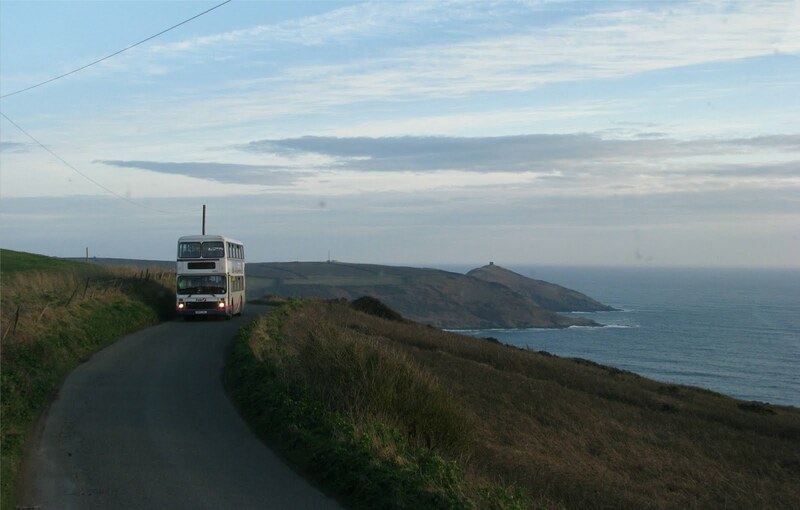 There are still plenty of coaches going into Cornwall but this is yet another blow for these longer routes. In years past the old X1 from Plymouth to Penzance was withdrawn and 'replaced' by the National Express routes, but even these are struggling with a relativity low intake of passengers. These 7 will be heading for Glasgow. 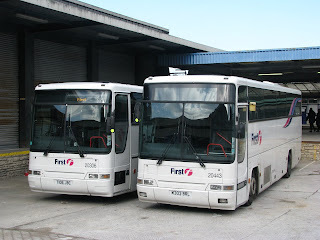 Now all seems well and good, some lovely near new buses in exchange to some comparatively old B7s. Though instantly my thought was why do Glasgow want to get rid of their brand new buses? I suppose maybe its simply capacity issues, though it does strike me as somewhat odd that this wouldn't have been thought of before going ahead with new buses. 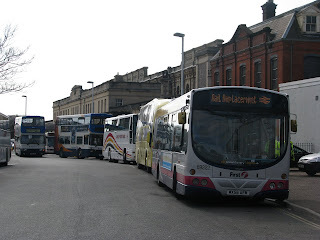 So could we presume that Glasgow didn't like the Enviro 200, and more importantly, how will they fair in Plymouth! Personal thought - I'd rather have a B7! 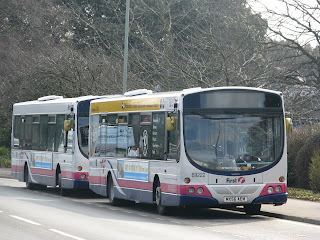 In other news it has been announced that First have won back the contract to run the Dartmouth Park and Ride service, which they will again take from the hands of Tally Ho on Sunday. 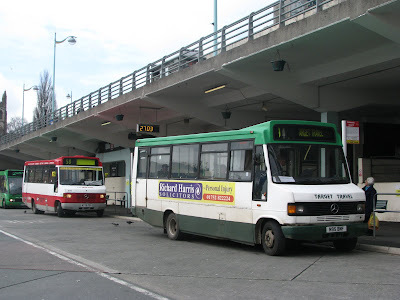 If you remember, before the council though First was making the service too much of a 'commercial' route running through houses, rather than a pure Park and Ride service. Why did they give it back to First? Only reason I can think is simply a lower tender offer than Tally Ho, though recently they have seemed to be offering a better service than in previous years, with a much smarter livery, often using the more modern vehicles on the route such as the Darts and Solos. Before anything was put on there including A reg coaches and all sorts! So lets see what First will make of it this time round! The new Driver CPC laws have of course been causing a lot of controversy over past months, and two of the A-Line drivers have just taken part in their first training session. A-Line really only employ the more experienced drivers, of course Steve has been driving buses for some 40 years now and is very knowledgeable about hazards, how to drive smoothly etc, something really you'd have to learn when driving Nationals! Really he felt it was a bit of an insult to drivers with experience like himself undertaking some of these courses are really they just aren't needed. I suppose yes, this won't apply to everyone and older drivers may need 'top up' sessions in some cases, but on a yearly basis for experienced drivers, is it really needed? On top of this also comes cost for the operator! 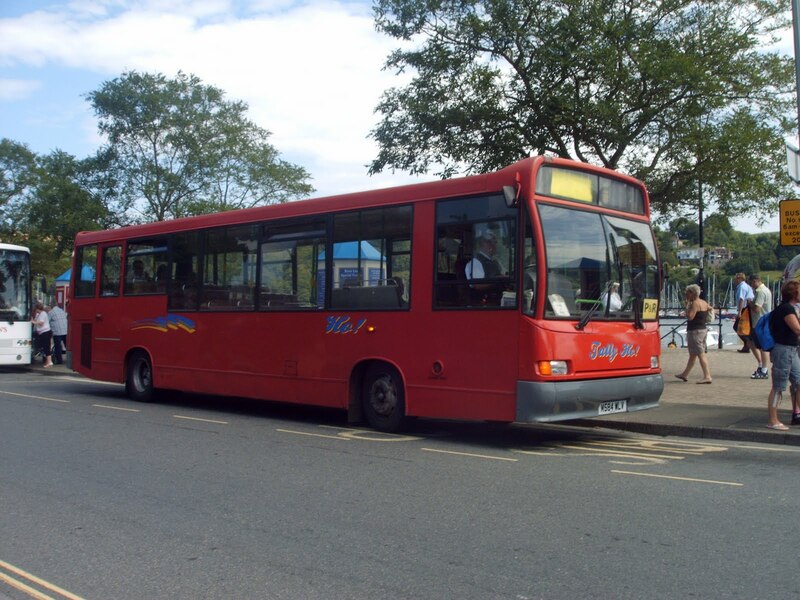 Jim stated that he paid £350 for the session, and paying this every year for a small bus company is quite harmful. Adding yet another in essence 'tax' to the industry won't help out these small companies at all, and therefore A-Line can only afford to pay for only the regular drivers' training and not the part time drivers such as Derrick. While out on the road to assess driving skill Steve was told off for traveling at 32mph in a 30 zone, fair enough really. But on the 'How its done' run with the instructor he was doing 36mph in the same zone! Things like this though small, give no faith to who's taking part and who's paying for it! The only 'useful' information that came out of the course Steve said was that he did learn some skill in how to drive the manual Ford Transit more efficiently. But really does this even matter when the services are day to day run with automatic vehicles? Personal predictions well, will some small companies be forced to get rid of drivers because they can't afford to pay the CPC fees? This will then mean you could get drivers from bigger companies who have already given the drivers training, coming down to work for small independents to earn that bit extra money, therefore leaving the bigger companies with driver shortages? Or could this become a continuous loop of drivers switching between big and small companies to carry out the CPC tests? Who knows, but it will be an interesting topic to watch! A-Line have again been having problems with R651 YCR this week, this being the 3rd week in succession. Luckily through good planning there has been no lost mileage and all services have still been operated, though there has been further criticism after the Vario failed to start after having a break in Cremyll this morning. The Transit and E920 EAY were therefore roped in once again to cover for the Vario, and did give quite a nice line up in Cremyll this afternoon. Of course ever since R651 joined the fleet she's been causing problems for the company, though the other Vairo - X891 YGU has performed faultlessly throughout its time at A-Line! Here we have some observations thanks to Luke Farley on the Weymouth fleet workings. Due to a shortage of deckers many weird things have been going on! Also with thanks to Dave of VR news I can report that MOD 571P will be returning to the road this year in Weymouth along with a Volvo Olympian! Great news to hear that this will be running another season and I will without doubt make another trip up there to see that. Continuing the look at the ever changing bus scene in Cornwall, Nathan Jenner has kindly passed on this photo of G904 TWS in St Austell. As is easy to see she is very much in a withdrawn state now, and if any will be returning to the road this summer to cope with the extra capacity needs, I doubt this will be one of them! As is clear several body panels are missing, though really she does still look in quite a clean state. They have all really been kept in a fairly good state seeing as they have mostly been in undercover storage, a far cry from just a few years ago when they simply parked them in a field and they were left to rot, like many of the VRs and older Darts etc. Unfortunately I didn't get out on a trip this weekend - but no big loss, the weather wasn't exactly great! I did walk up to Whitsand Bay just to have a go at some fog photography and well here is the result! 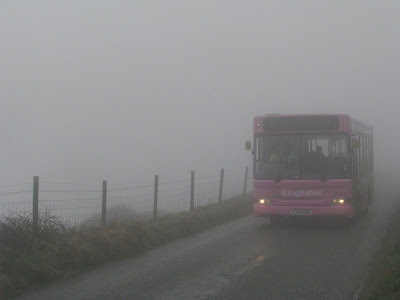 As you can see 40002 was going through very dense fog, buses were actually prevented from using the cliff road earlier that day and were diverted inland! Today's snap on Sunday has come courtesy of Nathan Jenner. While spotting down in Truro yesterday he came across this Trident. Perfectly average looking, in fact I doubt I would have noticed simply because I never take any notice of Tridents but this is T802 LLC. 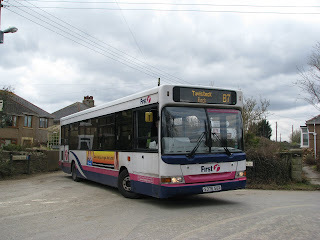 Of course T802 was one of the 3 Tridents that was painted into the Mayflower Link livery just 3/4 years ago but now already it seems a thing of the past. I don't know if the other example is still painted in Mayflower Link but if it is then you better snap it up quick before its gone! 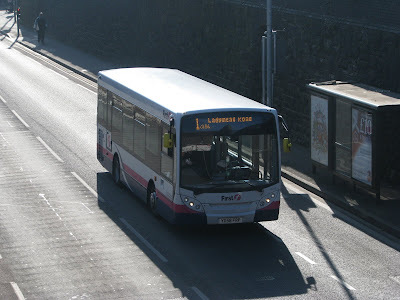 Quite a shame really as I always liked the Mayflower Link, definitely one of the better route branding liveries not just locally but over the country and will be a shame to see disappear. The Mayflower Link Tridents did quite often stay on their own route as well. I know when they were first put into the livery they were seen all over the place but over the last couple of years it has been pretty constant. W reg Tridents seem to be the norm on the 93 now along with some of the older Olympians. The Class 31 could be making a re-appearance in the South West this summer! 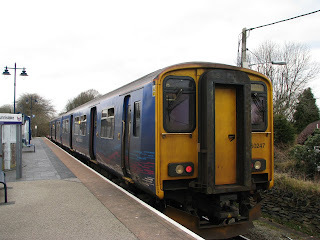 It has been announced that there are plans to run a shuttle service using Class 31s on the route between Okehampton to go as far as St James Park. The units would be used on a Monday to Saturday basis with 4-5 return trips. The consist would be of 1 Class 31 with 3-4 coaches on top of the DBSO so that the 31 wouldn't need to change ends. Would be fantastic to have them back operating in the South West again and I do hope what has been published it true. Though can you really see these really quite elderly beasts returning to the rails? I have my doubts, but we will find out this summer! A-Line have been having further problems with R651 YCR, fondly known in the company as 'Bertie', this week and therefore the Ford Transit - fondly known as 'Percy' has been taking over running of the services until her return to service on Thursday afternoon after sorting out some of the electrical problems that have been occurring. 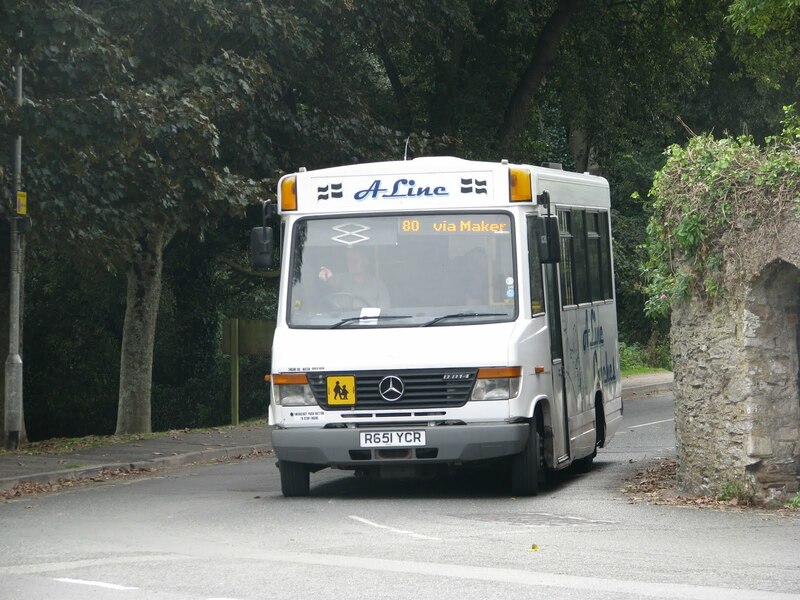 On the half 4 bus the Transit has been reaching capacity and therefore E920 EAY, fondly known as 'Ellie' has been used for overspill on the run into Millbrook, where the Transit continues to Cawsand and then onto the rest of the services. 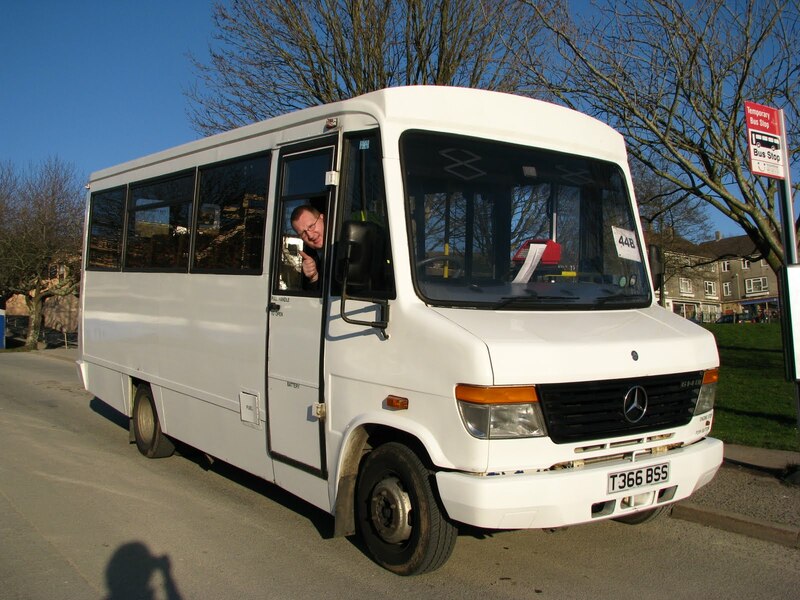 Jim has now also expressed interest in buying a bigger spare bus in the form of a 33 seat Mercedes 811 which may join the fleet in a short time! Of course PTOTPA will keep you posted. Derrick Cuff has asked me to do a quick post on his new employment - this being Door 2 Door, a company that provides transport for paticents that are going into London for operations in various hospitals. Derrick will be covering the South West region picking up people with this '59' reg Renault Kangoo pictured at the top. 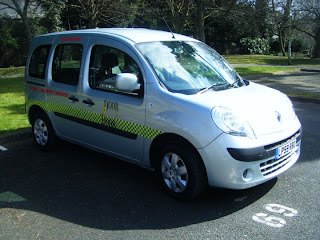 His first trip on Monday was to take people in from Portsmouth so there is a very wide range of locations that he will be going pick ups from. Of course Derrick won't be completely abandoning the bus industry and hopes to work at A-Line from time to time if he's got a spare day! So good luck to Derrick in his new job! Well there you go, here she is! Pictured in Trevithick Avenue is C413 HJN operation an 81C. Jamie Limb is in fact at the wheel and that's why I said he couldn't enter! Well done to XXXX for being the first to get it! 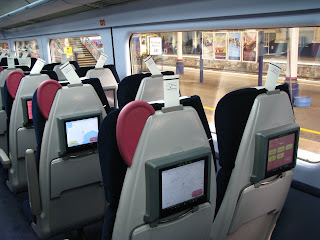 As you may be aware First Great Western has recently been rolling out the new 'Entertainment Class' across its HST sets. 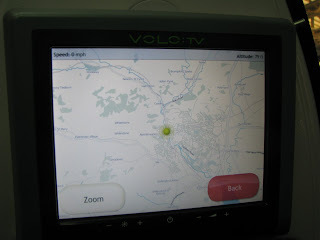 This uses the Volo TV system, much like is found on planes. 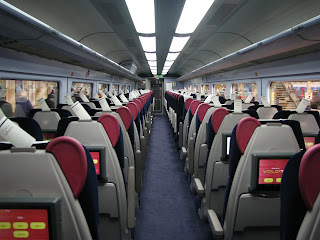 it offers a wide range of programs and films along with being able to track the trains location and many other things. Indeed the new Coach Bs do look very smart with these running the length of the carriage. FGW say that it is free the first time you use it though thereafter you will have to pay extra on your ticket to sit in Coach B. 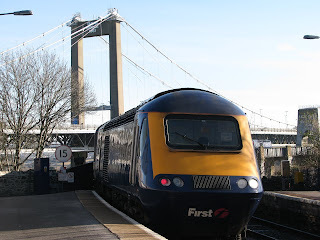 But it definitely has made rail travel, that bit higher class and has brought the HSTs that bit further into the 21st century. Shame to think that they will start disappearing in just a few years time now. Now I know Plymothian Transit has reported on this already but I've tried to add a bit of my own twist to this story! So here are a few snap shots of various places you'll recognise in Devon and Cornwall. What is nice about this new feature on Google maps is that really its frozen time, these pictures are in many ways already a world from the past. 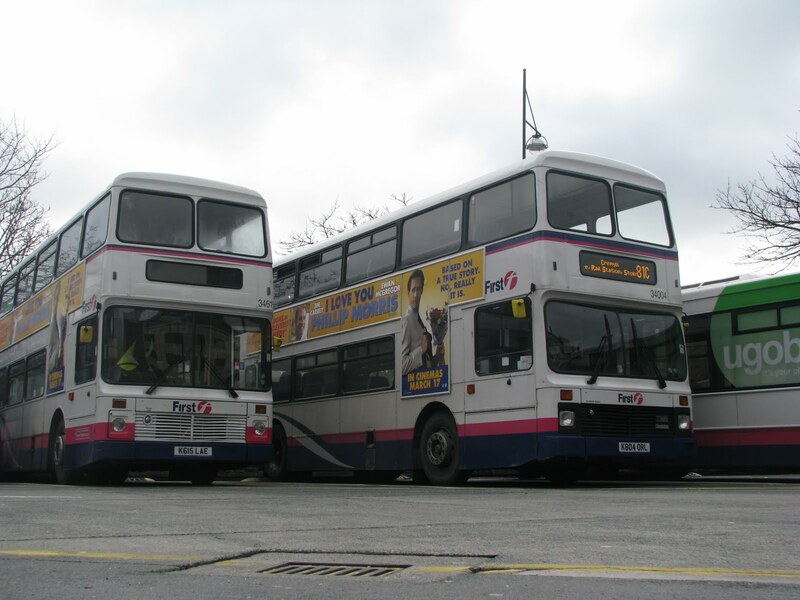 The top photo you will recognise as Torpoint depot, but sitting outside is C412 HJN of course no longer with us. Pictured next to her is K802 ORL which is of course still going, though it remains to be seen how long the K-ORLs will last at Torpoint. Next is simply a photo of a Trident, nothing too special. 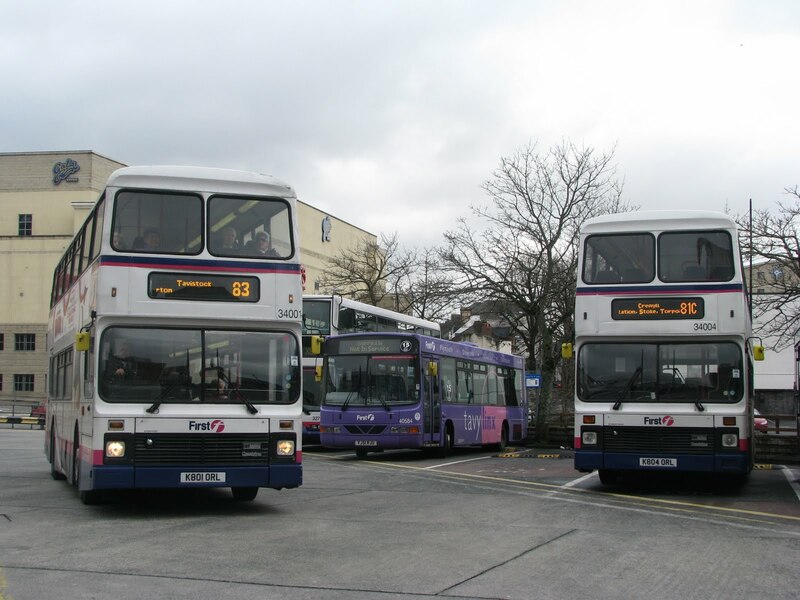 But the photo below again is something that no longer exists this being S529 RWP pictured in Royal Parade on a Sunday only working of the 81B (formerly 81A). Again something from a bygone era already. And lastly is Newquay's Tolcarne depot which is now of course shut, but this shows the depot still in use. Again another feature of this is G909 TWS the only G-TWS Olympians that has managed to escape First Group. Of course the rest of the G-TWSs are now in storage and many will likely be scrapped in the near future. Now for a little challenge. Excluding Jamie Limb can you find C413 HJN? So its not completey impossible I'll give you the clue that she is on the Cornish side of the water on an 81C! I will publish the answer to this on Thursday so get hunting! 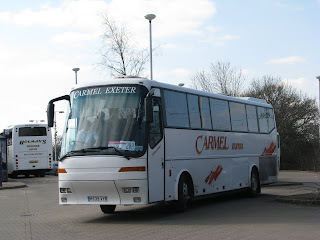 On Saturday I thought it would be worth going into Devon to have a look at what sort of things were on Rail Replacement duties. Opposite to what I said on Thursday it was actually mainly run by the independent operators hiring in coaches. 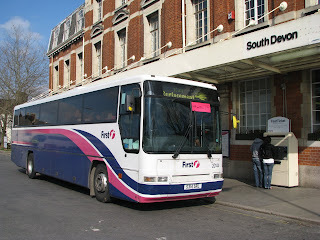 Though First provided many of them themselves on the locals between Exeter and Newton Abbot, with the fast services mainly being provided by independents. So into Plymouth and already it was evident there would be a lot of variety on offer throughout the day. 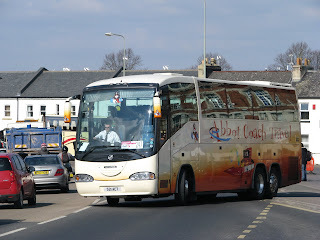 What met me were various coaches from Carmel had a Izitar bodied Scania W913 BEC along with Bova Future N335 SDV. Royal Blues brought LIB 806, one of several Van Hool bodied vehicles they own. Dartline had Dennis Javelin SLZ 5710 and Volvo B10M SLZ 6750, Holman's had Y337 AUT, C.J Down had B10M 645 CJD and 2 of FDC's B10Ms laid up as spares which were T106 JBC and M303 BRL. 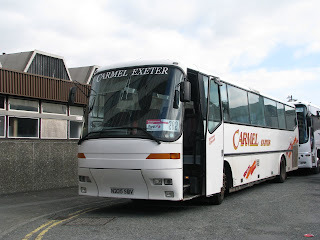 So first was a run upto Tiverton and of course I choose the oldest thing on offer, being Carmel's N335 SDV. On the run up she performed superbly and was quite spritely seeing as she is now 15 years old. Of course Carmel like to keep to high standards and indeed she very much lived up to what I would expect from them. 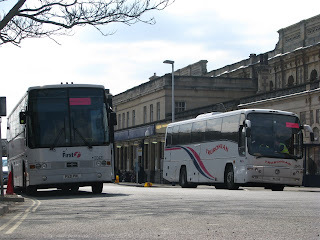 So on arrival at Tiverton we had of course the 4 coaches that came up from Plymouth as well as Carmel's R639 VYB, and then down the back as spares were FDC's M301 BRL, TT05 TRU, Vario W4 TRU and GIL 2967. 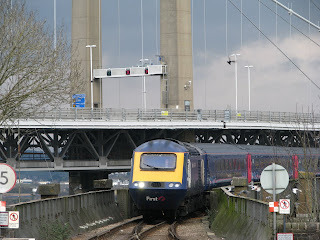 It was then a train down to Exeter on an FGW HST. This set also had the new Volo 'Entertainment Class' carriage which I will post on later in the week. So on arrival at Exeter St Davids, of course there was very little train action, so it was straight outside to see what coaches they had lined up for the intermediate and stopper services. Darley Ford Travel had RAZ 8723, Hookways brought 2603 HP, Abbot Coach Travel had Tri Axle Scania, S21 ACT and FDC had quite a line up with firstly Cornish B7, MX56 AEM, then coaches were M92 BOU, T2 TRU, P521 PRL, Y5 TRU, and spare was WSV 409. So for the trip down to Newton Abbot I chose something I've always been quite impressed by while spotting, this being S21 ACT the Tri Axle Scania. The Futura of Carmel had been nice, but this was in a different league. Very luxurious with an extremely smooth ride, only criticism I have is its too quiet! But that's just my own opinion! So down to Newton Abbot we went. Three more Cornish Volvo B7s were on offer these being sisters MX56 AEK, AEL, and AEM, there was also B10M S314 SRL. 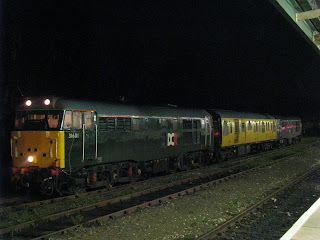 Shortly after CJ Down's 645 CJD arrived from Plymouth with 3594 CJD as well. T2 TRU then arrived from Exeter St Davids. 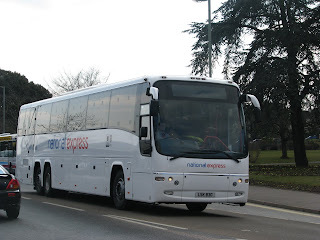 While spotting in Newton one of the tri-axle B12Ms from National Express came through on a 501 to London. Though what was more interesting was the driver. 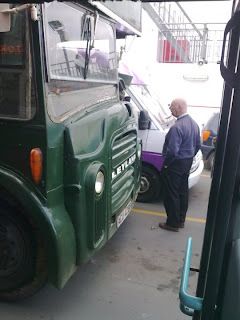 Not sure of his name but I remember him from Torpoint when I used to use them daily down to Cremyll simply because on one occasion he expressed an interest in buses when he showed me a photo of him driving First's routemaster! I've put the photo above so if any of the Torpoint driver's who read this recognise him, let us know! I particularly wanted a ride on the service to Exeter via Dawlish/Starcross etc and this was soon ready to depart with Volvo B10M S314 SRL. This one is one of, if not the only ones down here that still hasn't been re-painted into the new coaching livery, but do correct me if I'm wrong! This also still had the older moquette on the coach seats. The service was driven by one of the timetablers based at Plymouth who I worked alongside while I was on work experience with the company. Today he'd been let out to drive, as well as organise the coaches for the day. The trip was very pleasurable, though it is amazing how long it takes to get between the two towns! It was then quite tense on the run coming into Exeter where I needed to catch the 3:46 to get back down to Plymouth to meet my 81C. So close in fact that the coach was just about to pull away and was luckily held up by a passing car! Therefore this delayed him enough for him to notice me running up behind him, and was kind enough to stop and allow me onto the trip! The coach for the journey back down to Plymouth a was Volvo B10M (I've said this far that many times today!) from C.J.Down. 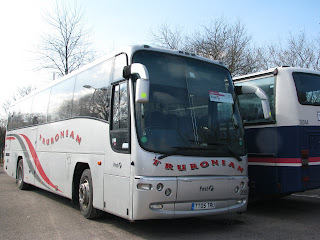 Annoyingly I never actually got the registration of this one but the bus or rather coach of the day, will go to this superb B10M. The performance was her was tremendous, that engine purring away was a dream, nice and throaty with plenty of power, really didn't feel the age it was. The interior was to match with immaculate dark red moquette with all fittings still looking mint. If I'm honest, it really showed up FDC's B10M that I'd just been on, it felt like a whole different breed of B10M! Into Plymouth right on schedule and allowed me to whisk round seeing what was about to run upto Tiverton. So there was Dartline's Dennis Javelin RLZ 1673, Carmel's Dennis Javelin R632 VNN with Scania T872 GDV. Then there was Darley Ford's B12 DFT, another B10M. Quantock had FNZ 1052 and FDC had R1 TRU and R308 JAF as well as the two B10Ms there that morning. So there we go, all that for just a fiver! I now need to go and have a lie down after writing all those registrations! 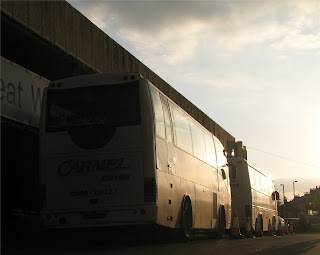 It was a surprisingly hard choice this week for the Snap On Sunday but I've settled on this photo of Carmel Coaches' Scania Izitar and Dennis Javelin standing outside Plymouth Rail Station about to work a run up to Tiverton in the early evening of Saturday. Well really the clock never actually started for the Leyland PD2 at Torpoint! 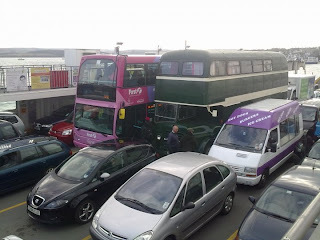 But anyway Jamie Limb has come along with these fantastic photos of a very much 'Old and new' scene here on the Torpoint Ferry. Pictured with 32758 is of course I Leyland PD2 that has been converted as a mobile home. While talking to the new owner Jamie found out that she'd been down in Seaton for many years but was in remarkable condition. Of course she was lived in and cared for but still she has battled the weather with ease by the looks of it! She has now been bought by a preservationist believed to be in Bristol. From the photo you can tell its registration is an 'ACU-B' but the numbers in the middle you can't quite make out! So if anyone can shed some light on this story please let us know! "An open letter to Richard Branson"
While flicking through radio programs on Tuesday I came across this very interesting radio program entitled "An open letter to Richard Branson". In short its about a comedian's journey on a Virgin's trains service into London and what happened! Its well worth a listen if you have a spare half an hour. 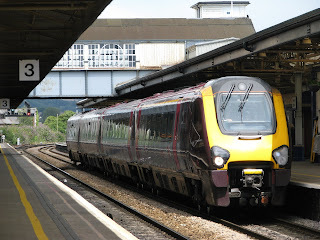 There has been further news recently on problems with the Voyagers on the stretch of line between Newton Abbot and Exeter St Davids, often classed as simply 'Dawlish'. Of course ever since the Voyager's introduction there have been problems with sea water getting into the electrics and causing the units to break down, causing many delays along the route. CrossCountry has now taken the decision to protect this from happening again by simply stopping services when the tides are high and winds are strong. Buses will then replace the trains along the stretch before people can carry on their journey either side. 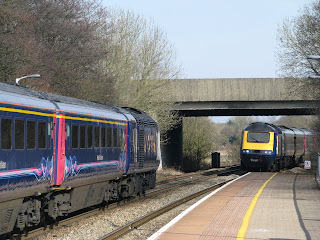 Of course the HSTs have never had a problem, and neither have 150s and 142s etc. But personally I wouldn't many to be on a lightweight Pacer in storm conditions going along this part of the route! Talking of buses replacing trains though, please be aware that there are engineering works going on this weekend between Plymouth at Exeter St Davids. This hour stretch of the line will be totally shut to all trains including the Paignton branch line. These will run as near to the train timetables as possible though of course some journey times will be extended. This will be quite a major operations so no doubt there will be a lot of bus and coach action. Of course First like to try and cover most of it themselves, though I doubt that they'll have enough free to be able to take on all this by themselves unless some extras are brought down from other parts of the country. Of course First does now have its own Rail Replacement sector to respond to Rail Replacement whenever its needed, even on 'spur of the moment' situations. This is an extract from the Evening Herald showing N284 PDV next to what will ultimately see her dispatch - VU52 UEE the first of the Optare Solos to be painted up. 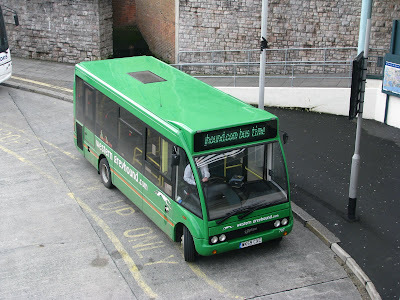 As has been mentioned in comments on the bus, Go Ahead have not yet experimented with a new livery for the company and the Solos remain in the standard livery at the moment. As you you may be able to see there are some comments from the new MD - Andrew Wickham on the improvements made to the Solos. He mentions new destination displays though the front blinds are the same as they've ever been - unless some have been added to the side or back? He also says £70'000 will have been spent refurbishing the Solos before they are put into service, though comments that I've heard are that some are already rusting on the underside of the Solos and weren't in great nick when they arrived, but who knows, PCB may have attended to these issues! It will be a shame to see the 709 finally disappear though. As I think I may have mentioned before Citybus were very reluctant to get rid of them under council control because the buses just made so much sense. With low running costs and simple mechanics they are and were the perfect vehicle for the job. Also thanks to Plymothian Transit - N289 PDV has already found a new life with Riverlink of Totnes. I'm guessing this is because they've been having problems with the Varios they currently operate. Indeed A-Line Travel manager Jim Goodard often curses the Varios. Over complicated mechanics and un-reliablity have always been a problem with the Vario and thats why many companies have actually reverted back to 709 operation after experimenting with Varios. So at least one has made it into a further life and will likely have many years to live yet. 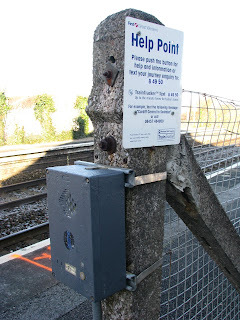 Saturday saw a trip organised by Louis Rawlings on the Tamar Valley line, with the aim of covering every station to record and photograph the ‘Help Points’ before they get removed from the stations in the near future. It was an early start to get them all in. I joined Louis at Devonport after he came off and 153 from Plymouth. So after a short stop at Devonport and one help point down we headed for Dockyard on foot. 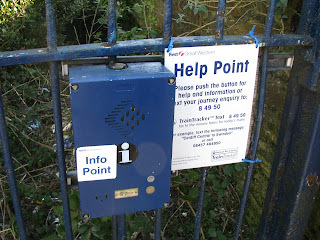 We then located the Help Point, though it seemed that this one needed Help itself! 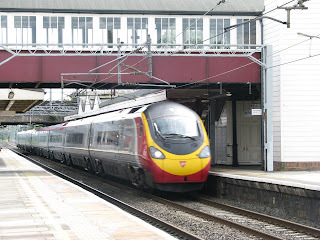 With no luck at this one we photographed a HST passing and then got on another train to go down to Keyham. The train manager struggled to issue me a ticket in such a short journey though. And then on arrival at Keyham the Help Point there was also out of action! So it was a swift move onto the next stations at St Beaudeux travelling on FDC's service 3. This was aboard recently refurbished Volvo B6 W829 PFB which pulled well compared to many of the other B6s which have become fairly sluggish. 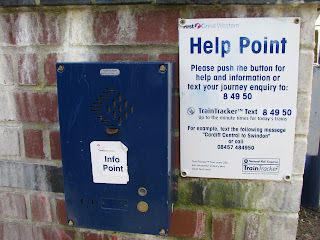 Both of the Help Points were in action at Ferry Road and Victoria Road, so we soon pressed on to our next stop at Saltash aboard a Service 1. I can't really give any comment on the bus simply because its such a short trip! 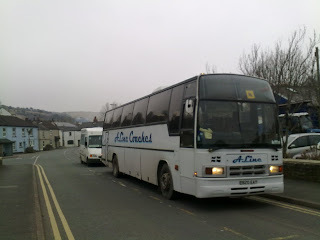 Saltash gave us the next tick in the box and it was then back onto the same bus for a run back into Plymouth. We then boarded the 10:46 to take us on our next leg. The train manager was the same as the previous journey so it was a "Right where this time..." to which we replied "Calstock please!" Remarkably I haven't done this part of the line for some 3/4 years now. In fact delving into the archives the last time I used the Tamar Valley line was a trip with Luke Farley in October 2006 after sampling the then new Mercedes Citaros in Plymouth. Calstock again is a village I have not been to in many years, but it is amazingly picturesque and on a gleaming day like Saturday was it really was an ideal place to be. 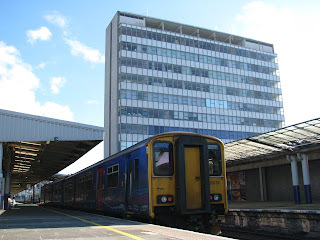 But after only half an hour at our disposal it was soon back up to the station to meet the train once again to head back up to Plymouth. 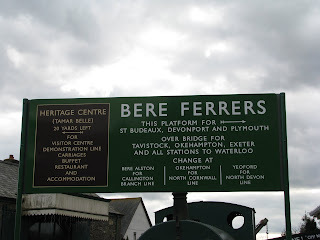 We then boarded the 12:55 to take us as far as Bere Ferres. I must admit Ferres is one of the best kept stations I've seen outside of the preservation world and its been kept superbly with many reminders of the past including old timetables. I must admit I did particularly like the display board showing all the places you used to be able to get, before the lines were cut back by Beeching. So after a quick look round and of course to see the Help Point it was a short walk into the village to catch FDC's service 87. Unfortunately this was not in the hands of the recently arrived Primo bus a more standard Dennis Dart. Though what was shocking was the fare! This was just 60p for my journey to Bere Alston - some 15 minutes. Where as a single to Millbrook from Cremyll on the bus would cost me £1.55 with FDC. 87 isn't exactly the most popular route so I did struggle to see why it was so cheap. All I could think of is that is must be heavily subsidised! It was quite tight between the bus at the train at Bere Alston so it was a quick snap of the Help Point and then onto the 14:06 yet again back up to Plymouth. 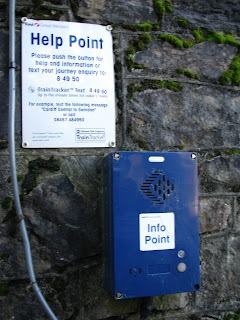 Though we got off a stop early on this leg to record some more sounds made by the help points. 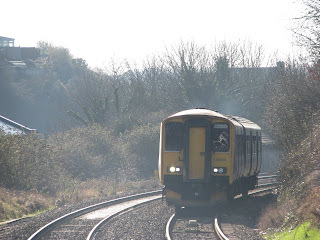 On many of the runs back up to Plymouth we either got off at Devonport or St Beaudeux so that this could be achieved and then caught a 1/81 back to Plymouth. 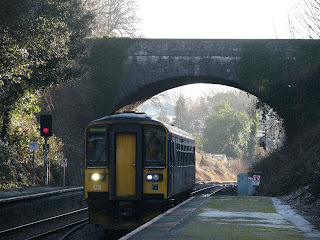 It was then back down the line once again all the way to Gunnislake. And after a short stop there it was back on the train as far as St Beaudeux. 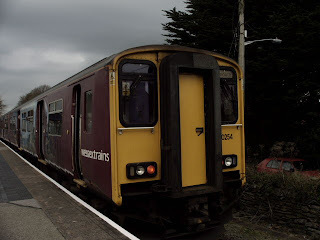 Above/below/wherever it turns out to be when I press publish you will see a comparison in Gunnislake between the old Wessex Trains liveried 150 when I rode the line in 2006 along with the present day livery they now wear! 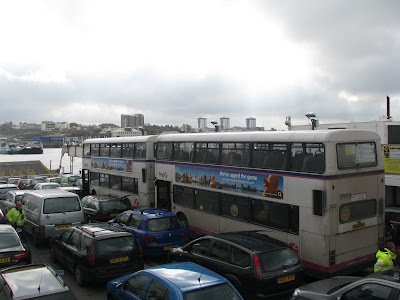 Then a bus down to Saltash. 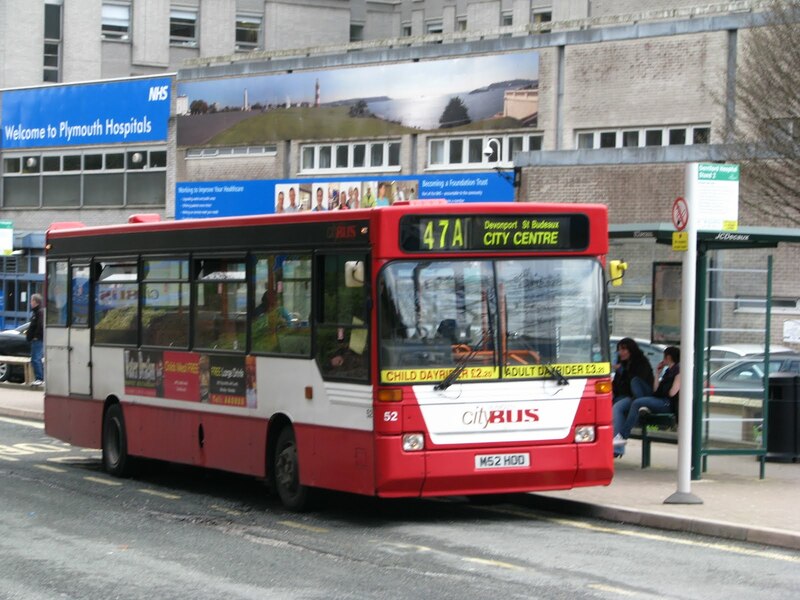 And then a bus back up to Plymouth before signing off at approximately 16:50! Though the action didn't stop there! I nipped across the road for me 81C back down to Cawsand. 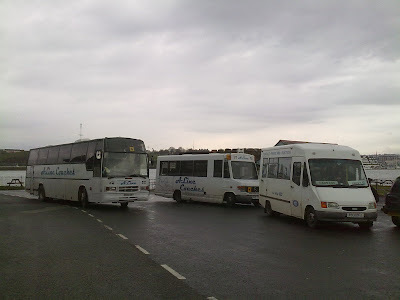 The bus was running an understandable few minutes late at this point but the problem came when we reached Milehouse. Home Park was emptying from Saturday's defeat and swarms of people were crowding the roads and the bus stops. Indeed this delayed us enough to mean we missed out scheduled ferry we were supposed to get on, which then meant a wait before we could cross the Tamar. Our driver then thrashed K801 ORL really showing what these old Olympians could still do! 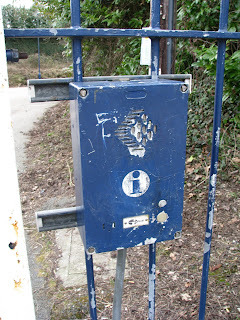 It's in fact a shame that the batch now have electronic limiters fitted to them as even on the short run between Torpoint and Antony we were hitting it. We soon made up time and arrived only a few minutes late into Cawsand. And if you were confused by that blog - think how I felt trying to follow that plan!